We have something of a railway theme this week (See COMMENT) and since the holidays are still with us and plenty of Europeans will be planning trips to and within France in September our Paris-based expert for Reuters, John Burke, has been looking into matters and fares. The economics of train operations are not discussed. French Railways (SNCF) is working hard to woo the travelling public back with cheaper prices and more staff, and the latest offer is a discount of up to 70% on inter-city and overnight journeys. The one-way standard ticket from Paris starts at £13.50 to Toulouse or Brive, while that to Perpignan and Narbonne will cost £18. An overnight journey, with a couchette in six-berth, can cost £31.50 to Nice, Biarritz or Carcasonne. 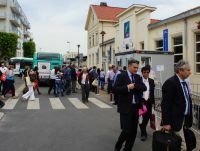 Tickets can be bought until 9 September, for travel between 30 August and 24 September, from Rail Europe which has a London travel centre at 193 Piccadilly. For senior citizens, SNCF also offers flat fares of about €8 to anywhere in the French hexagon at unpredictable intervals, but Rail Europe’s spokeswoman, Amanda Monroe, says: “Although we can help with various permanent and temporary discounts on many networks, we have not been alerted to some tickets publicised only in France to be booked there”. Thus, throughout this year SNCF is offering a million tickets at less than €24 for the TGV eco on the Paris – Lyons – Montpellier – Marseilles line. 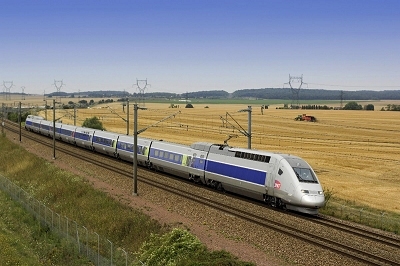 Furthermore, the state-owned network is to change some high-speed trains (TGV) to single class, and bring them to minor stations with lower operating costs. One of them is Marne-la-Valleé instead of Gare de l’Est in Paris. The concessions are not a reaction to the crash of a regional train just south of Paris in July when six passengers were killed. 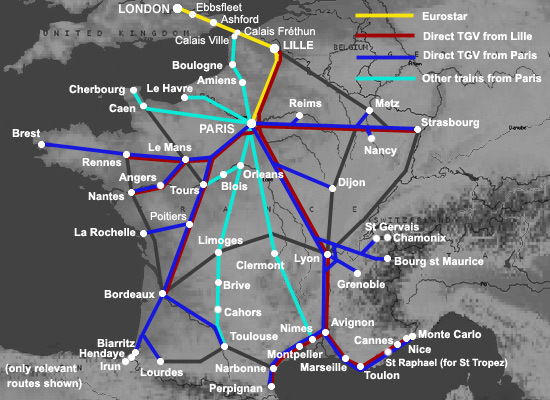 The reality is that, since TGVs carried 102½ million passengers on 1,800km (1,100 miles) of track in 2011, many French people have deserted rail for road, although it is hard to get figures. SNCF’s Chairman, Guillaime Pépy, told BTN: “We are making it cheaper, because the image of rail travel has not been suggesting economy. This is the first initiative of its kind in the world, because no other country has offered low-cost exclusivity on high-speed trains”. To achieve the comeback, SNCF hired 10,000 more personnel last year, and expects to recruit a further 30,000 by 2017. Some extras are for increasing online booking (iDTGV) that allows deep discounts, and anyway, packages for families as well as passengers in the 12-17 and 18-27 age-brackets have been revised. The latter now qualify for passes costing €50 entitling them to discounts between 35% and 60%, besides which 10,000 ultra-cheap youth tickets are being offered each month for travel at the last minute. Senior citizens now find that their passes, costing €65, have extended the discounts on tickets from 25% to 40%. All these are available throughout the 32,000km (20,000 miles) system.